This historic home, built in 1880 as a pastorie for the local Dutch Reformed minister, has been an owner managed Guest House for almost 20 years. 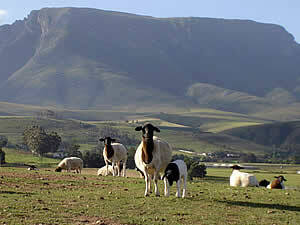 Riversdale, sandwiched between the Langeberg mountain range and the sea is an ideal stop over or place from which to explore the area. 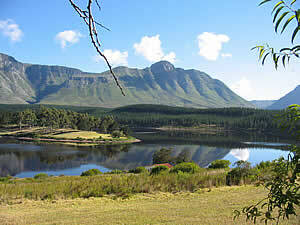 Riversdale is also a few kilometres from such seaside towns as Still Bay and Witsand. From Riversdale one can also make one-day trips to explore all sorts of interesting places, go on beautiful hiking trails in spectacular mountain scenery. Activities such as 4x4 routes, abseiling, trips on horseback, hang gliding, fishing and water sports are all popular around Riversdale. 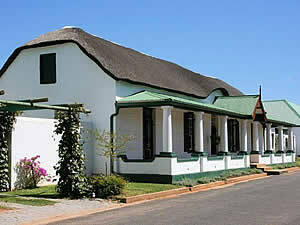 Take your pick from our guest house, B&B and self catering accommodation.